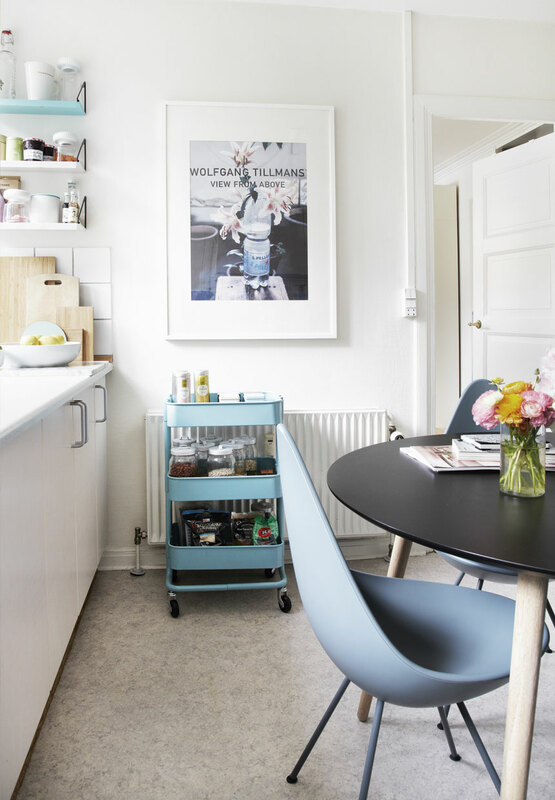 This lovely apartment is occupies only 55 square meters, yet it is bright, uncluttered and cozy. 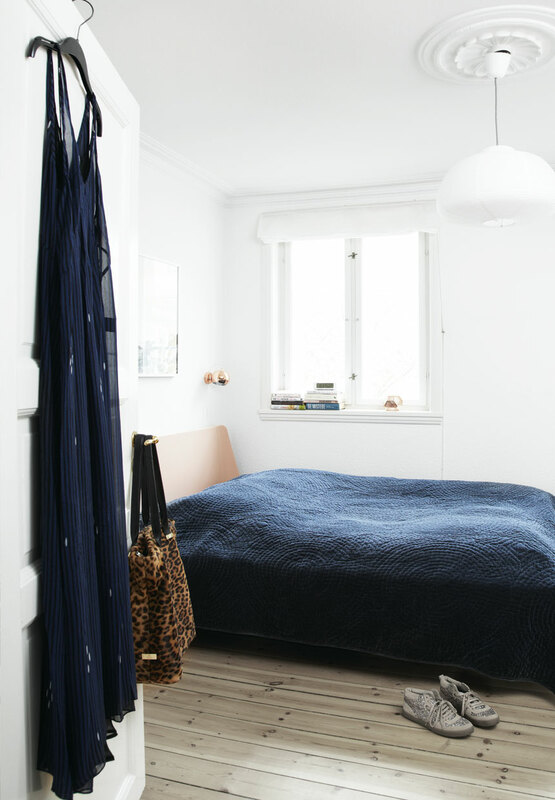 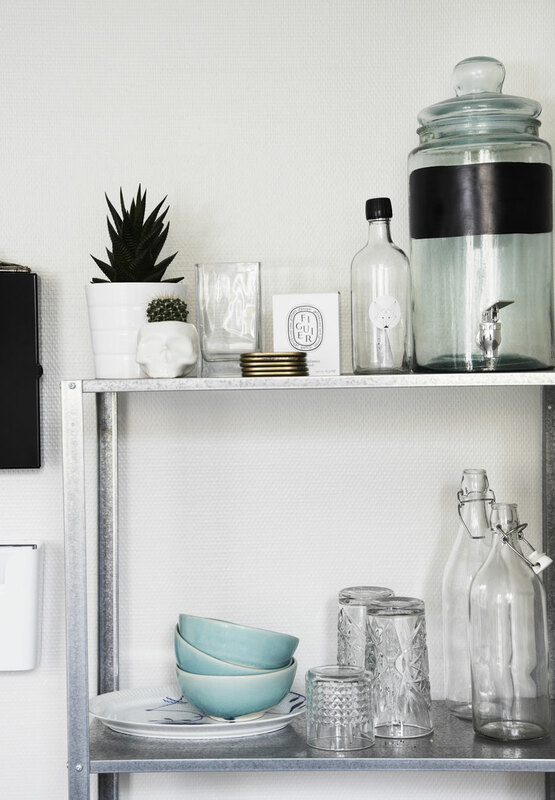 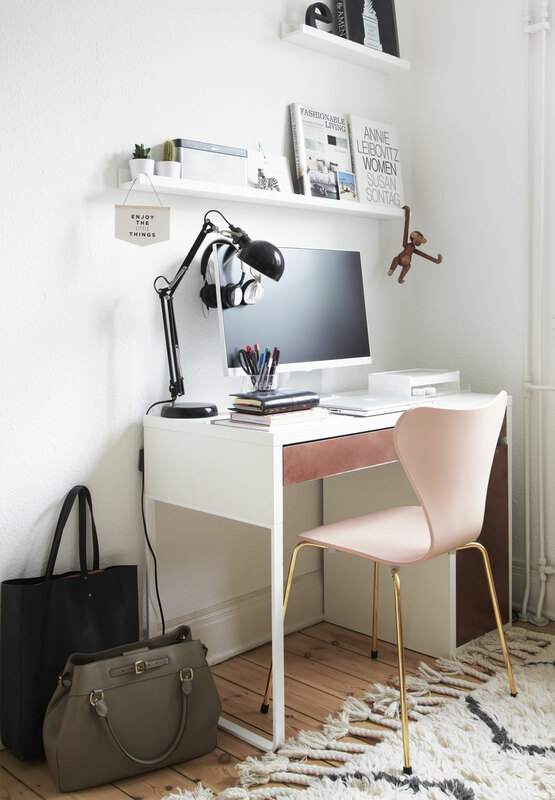 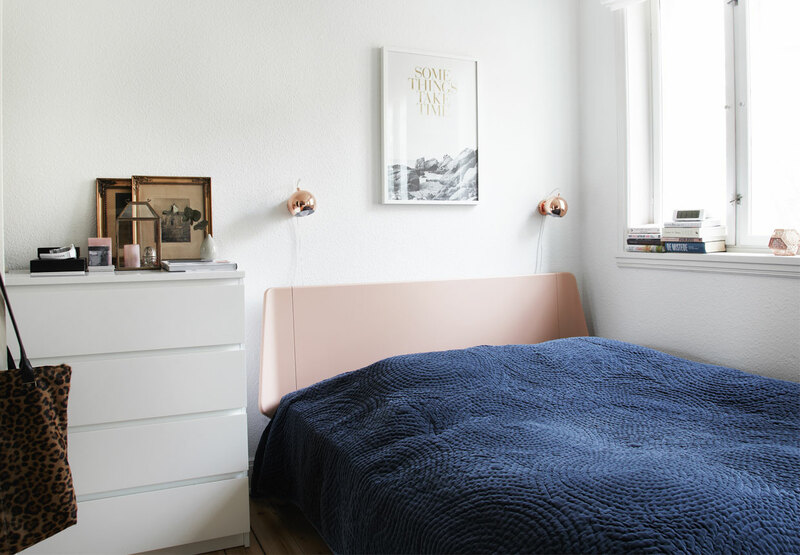 It belongs to a blogger Emily Salomon ( Emilysalomon.dk ) and she did a very good job with decorating here. 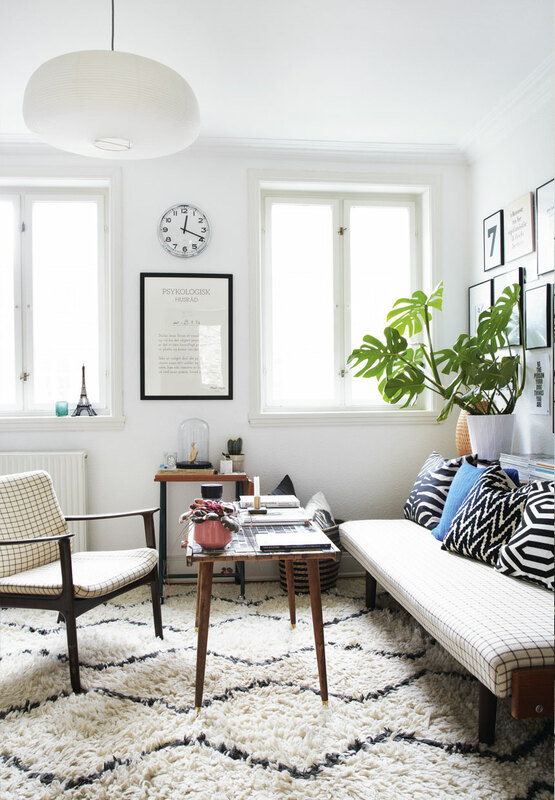 I really like the art wall composition in the living room area, with a botanical and typographic prints. 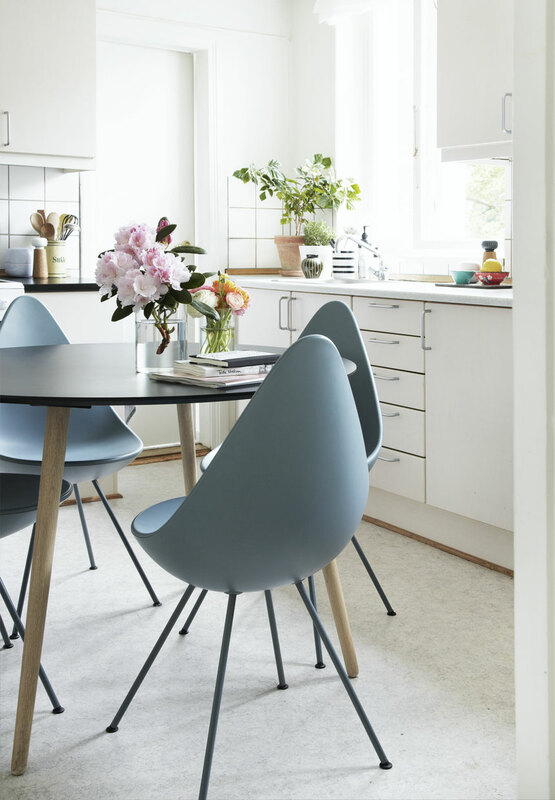 Along with the mid century furniture and trendy houseplants, it has a really inviting and personal atmosphere.